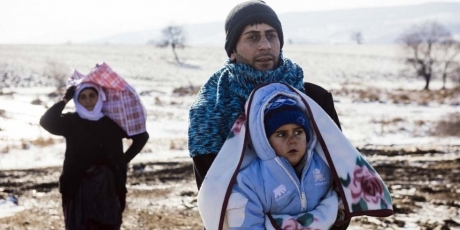 Avaaz - EU: Keep your promises on refugees! EU: Keep your promises on refugees! Even after a year of summits, joint declarations and emergency meetings, the EU has one figure to show for its agreed scheme to relocate refugees fairly across Member States: 583. At this rate it could take 150 years to reach the target of 160,000. As one of over a million people who signed a petition calling for Europe to help refugees, I am deeply concerned by the lack of progress in the refugee relocation scheme agreed last summer. Only about 600 of the target of 160,000 refugees have been relocated so far. I call on you to ensure this 'emergency' plan is speeded up, as part of a long-term humane refugee policy that saves lives and protects people fleeing war and persecution. Acting on EU leadership is both wise and popular -- a new EU wide poll shows that 79% of European citizens want a European response to the refugee crisis and a fair distribution of the burden among all member states.